COOP Gallery is pleased to present “Land Report East 5” by the Land Report Collective. These 6 artists interact with landscape in fundamental ways and as a foundational reference point. Leticia Bajuyo’s work is fueled by compassion and a critique of capitalism, as she explores perceptions of value in order to foster an awareness of the role of social amnesia on consumer behavior. 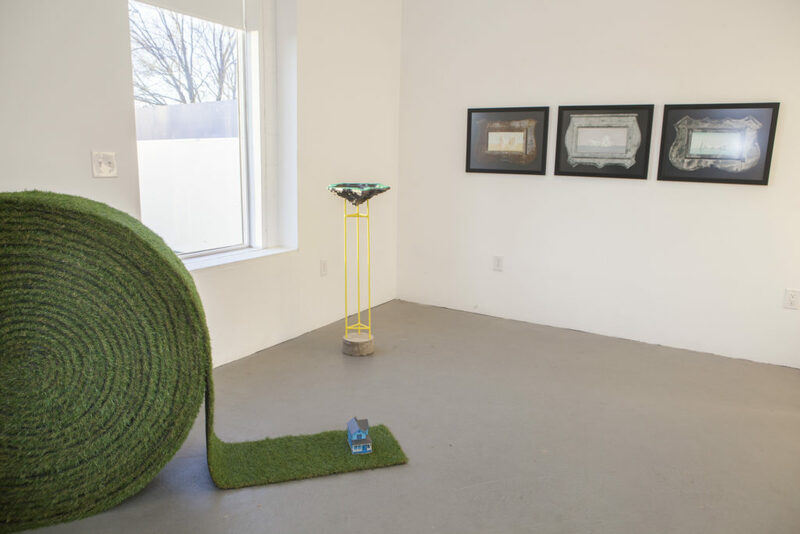 Jason Sheridan Brown considers the politics of mountaintop removal in his construction of objects and installations while also creating playful formal assemblages. Brian R. Jobe typically creates schemes for public interaction through the delineation of pathways or through site-specific focal points. David L. Jones responds to desert environments with experimental interactions, model scale sculpture, and large scale outdoor works. Patrick Kikut incorporates a lifelong interest in the horizon line in a series of paintings with flat Midwestern landscapes as his muse. Shelby Shadwell views the landscape from a non-traditional lens, responding to ephemeral images from highway road cameras, monumental mining operations and the optical nature of the salt flats through drawing, sculpture and video installation. Although each LRC artist investigates formal and conceptual issues based in the landscape as an individual, the essence of our collective lies in the intersection between the things each of us point at – as if we were pointing to locations like road signs. New meanings and contexts emerge when viewers see the conversations that open up between works in an exhibition that would not normally occur when pieces are exhibited in isolation. Furthermore, the development of the work for each exhibition is a result of the artists being in direct and indirect dialogue with each other, the spaces they inhabit and the people they interact with there. Through this active process, members of the collective make new work as if it were a conversation, even though each artist acts autonomously and there is no hierarchical structure imposed. Leticia Bajuyo received her M.F.A. in 2001 from the University of Tennessee, Knoxville and her B.F.A. in 1998 from the University of Notre Dame. Prior to joining the faculty of Texas A&M Corpus Christi, she served as a Visiting Assistant Professor in Sculpture at the University of Notre Dame (2016-2017) and as a Professor of Art at Hanover College, Hanover, Indiana (2001-2015). Additionally, Bajuyo is a member of the Board of Directors for the National Performance Network and Visual Arts Network (NPNVAN) based in New Orleans, Louisiana. Bajuyo’s sculptures and installations have been exhibited nationally, including large-scale public art installations in the ceiling of the entrance of the Tony Hillerman Library in Albuquerque, New Mexico; the entrance of the Indiana State Museum in Indianapolis; the Lyon Square outdoor plaza in Grand Rapids, Michigan during ArtPrize 8; and the three-story atrium of the South Bend Museum of Art, Indiana. Recent international exhibitions include the 2015 IV International From Waste to Art Exhibition at the From Waste to Art Museum in Baku, Azerbaijan and Frame Of Mind 2016, a Northern Mindanao Contemporary Art exhibit in Mindanao, Philippines. Jason Sheridan Brown received his M.F.A. from the Rhode Island School of Design in 1999, and has been teaching Sculpture at the University of Tennessee since 2001. Brown’s artwork has been exhibited nationally, including solo and group exhibits in Arizona, Alabama, Florida, Georgia, Indiana, Kentucky, Massachusetts, Michigan, New Mexico, New York, Ohio, Oregon, Pennsylvania, Virginia and West Virginia. Recent public art projects include large-scale outdoor sculpture installations at the Walker Art Center in Minneapolis, Minnesota; North Carolina Arboretum in Asheville, North Carolina; Josephine Sculpture Park in Frankfort, Kentucky; and Franconia Sculpture Park in Shafer, Minnesota. He is involved in a number of collaborative public art projects in an effort to engage in civic dialogues about individual, community, and place. Throughout his art and teaching, Brown emphasizes interdisciplinary cooperation amongst creative thinkers. 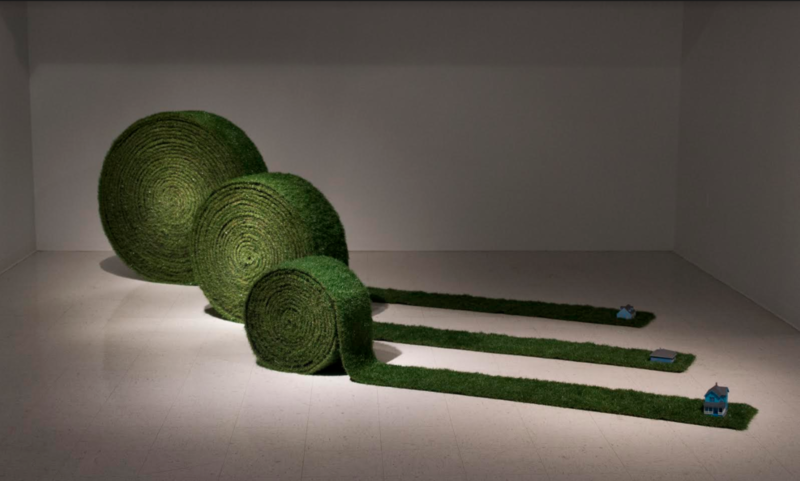 His work engages other disciplines including architecture, ecology and landscape design. Brian R. Jobe is an artist, educator, independent curator, and non-profit co-director based in Nashville, TN. 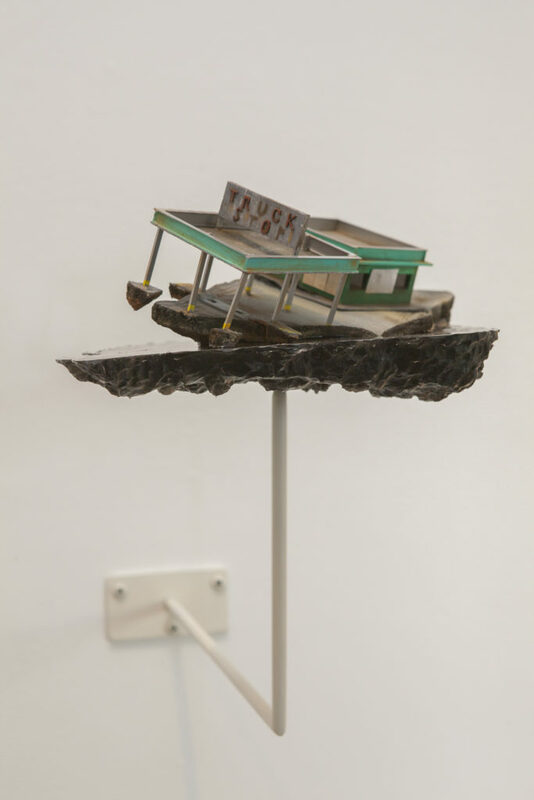 Jobe’s studio practice is focused on sculpture, installation, and public art. His solo exhibitions/ projects have been on view at venues such as Mixed Greens Gallery (New York, NY), Blue Star Contemporary Art Museum (San Antonio, TX), the University of Wyoming (Laramie, WY), the University of Tennessee College of Architecture + Design (Knoxville, TN), and the McNay Art Museum (San Antonio, TX). Born in Houston, Texas and raised in Memphis, Tennessee, Jobe received a B.F.A. degree from the University of Tennessee in 2004 and M.F.A. degree from the University of Texas at San Antonio in 2006. After living in Brooklyn, NY for a time, he relocated with his wife, painter Carolyn Jobe, to Tennessee. In 2015, Brian and Carolyn Jobe founded Locate Arts, an organization that connects and promotes contemporary visual art in Tennessee. Presently, he is the Co-Executive Director of Locate Arts + Seed Space. He also teaches art courses at Lipscomb University. David L. Jones, originally from Augusta, Georgia, received his B.F.A. in Sculpture from the University of Georgia in 2000. For the following year he resided in Birmingham, Alabama where he worked in the Sloss Metal Arts Artist-in- Residency program casting iron before going on to pursue his Masters degree. In 2004, he received his M.F.A. in Sculpture from the University of Tennessee. After graduate school, he moved to the Rocky Mountain West in Laramie, Wyoming. The western landscape has proved to be a significant influence that has surfaced in the aesthetic and themes of Jones’s work over the last fourteen years. This influence has helped to form three distinct bodies of work that defines his studio process. In addition to working in the studio, Jones has began to expand his creative process to working outdoors in sites such as the Center for Land Use Interpretation in Wendover, UT, and the Red Desert region in southern Wyoming. David actively exhibits nationally, but more prominently throughout the intermountain west in cities such as Denver, Colorado and Santa Fe, New Mexico. David is currently on faculty in the Visual Art Department at the University of Wyoming as an Instructional Art Technician. Patrick Kikut was raised in a small beach town in Southern California. He earned a B.F.A. from University of Colorado and an M.F.A. in 1994 from the University of Montana. Although he is primarily an oil painter, he has worked (and exhibited) in a diverse range of media. Since 2005, Kikut has been living, painting, and teaching at the University of Wyoming. His work has been shown internationally and nationally and has been an artist in residence at Ucross Foundation, Center for Land Art and Interpretation, and Polli Talu in Estonia. His work is included in numerous collections including the El Paso Museum of Art, The Missoula Art Museum, and the University of Wyoming. Shelby Shadwell is currently an Associate Professor in the Art Department at the University of Wyoming, and he has greatly enjoyed teaching and making artwork in Laramie over the past few years. Born and raised in Springfield, Missouri, Shelby spent most of his years in the Midwest. In 2003, he received his B.F.A. from Washington University School of Fine Art in St. Louis, where he studied printmaking and drawing as a Kenneth E. Hudson Scholar. He accepted a full fellowship to attend Southern Illinois University Carbondale and went on to graduate with an M.F.A. in Printmaking and Drawing in 2006. A two time recipient of the Visual Arts Fellowship from the Wyoming Arts Council, Shelby actively exhibits across the nation. He recently won the First Place Prize in the International Drawing Annual 9 from the Manifest Creative Research Gallery and Drawing Center in Cincinnati, OH where he also had a solo show in February 2013 and is included in a total of five INDA publications. Shelby was also the recipient of the Best of Show Award in Inspired Lines: The Appleton Museum of Art’s Drawing Biennial in Ocala, FL from juror Alison Ferris. In 2016, he was awarded a solo exhibition at the APEX Space at the Portland Art Museum in OR, and his work is included in their permanent collection. 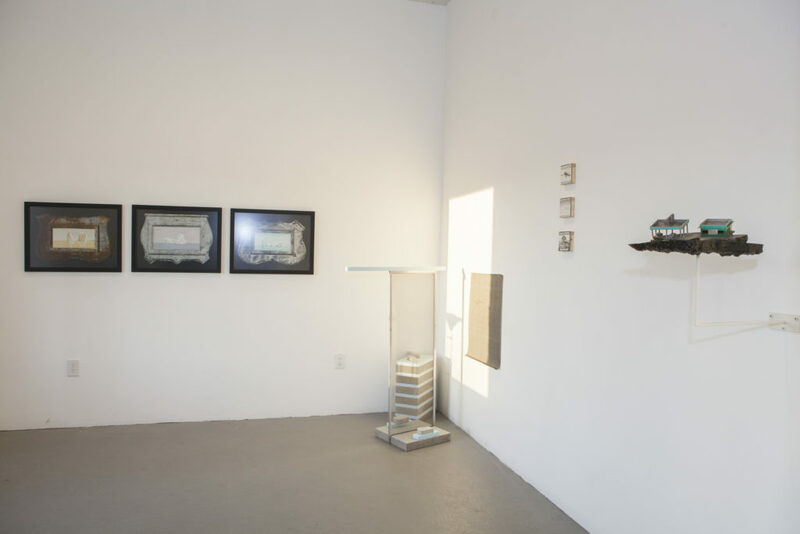 This past fall, Shelby’s work was in a group exhibition at the William Havu Gallery in Denver, CO and the Wyoming Biennial Fellowship Exhibition in Casper, WY.